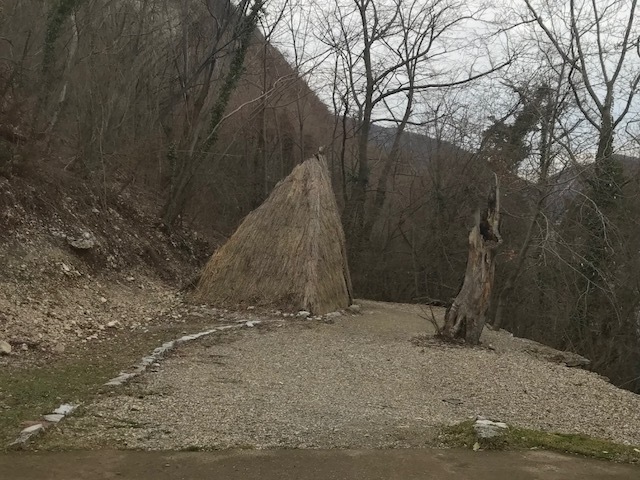 Lepenski Vir is one of the largest and most significant or say complex prehistoric center in Serbia. 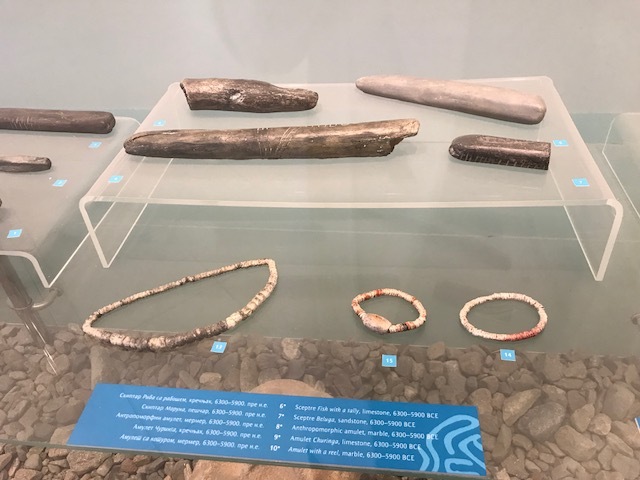 The cultures of Lepenski Vir is about 8.5 millennia old and it’s discovery has changed the understanding of early Stone age in Europe. As I had been living with a few friends from archaeology major in university, hence I do have some interest in this kinda of setting. So you know it was me who suggested to pay it a visit. 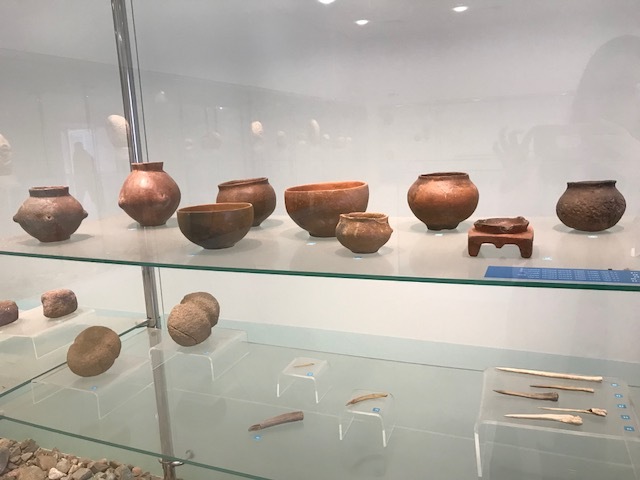 We came to the museum, which isn’t too big, but nicely designed and preserved, ,maybe one of the best that I have visited in Serbia. 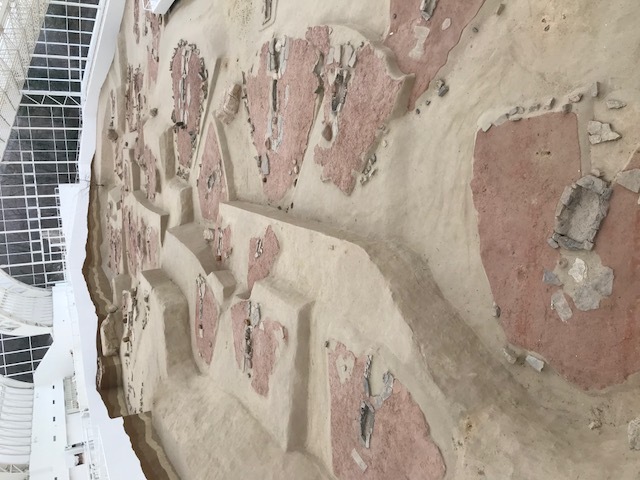 You can see the rich cultural layer, which reveals the traces of highly developed culture that had complex social relations. That’s why it is regarded as the first in Europe to organize its settlement according to a plan. During the archaeological excavations seven stages in the construction of the settlement and 136 buildings were discovered. 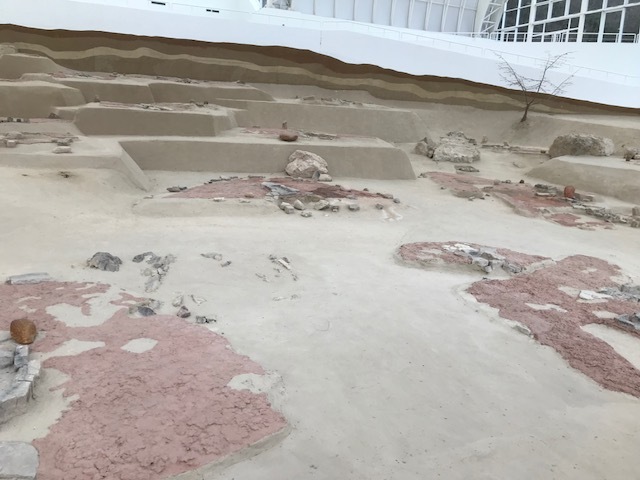 The settlement was built on the loessial terraces facing the Danube, the river that gave them life and at the same time seemed divine and awe-inspiring. The characteristic of this settlement were the trapezoid-base houses with primitive wooden construction which were organized in the shape of a horseshoe. The buildings surrounded an open space – the first known square, with the central building, probably some kind of a temple or a shrine. Fireplace surrounded with fishlike stone figurines took central place in every house. 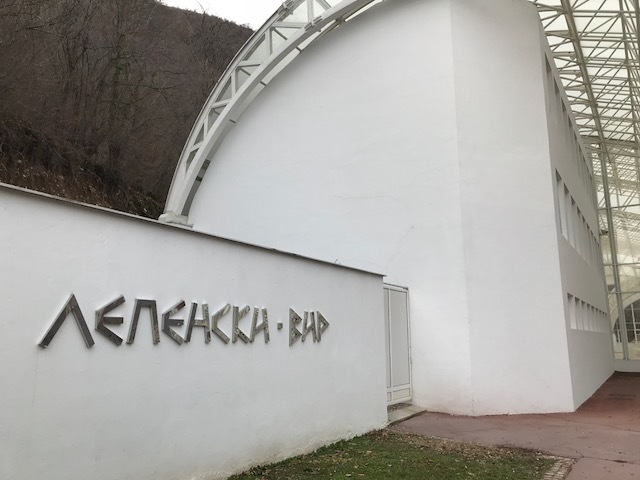 The culture of Lepenski Vir flourished along the Danube and the Đerdap gorge on several locations, developed in the period from 6,500 to 5,500 BC; and it was named after the largest and the most significant site, Lepenski Vir. 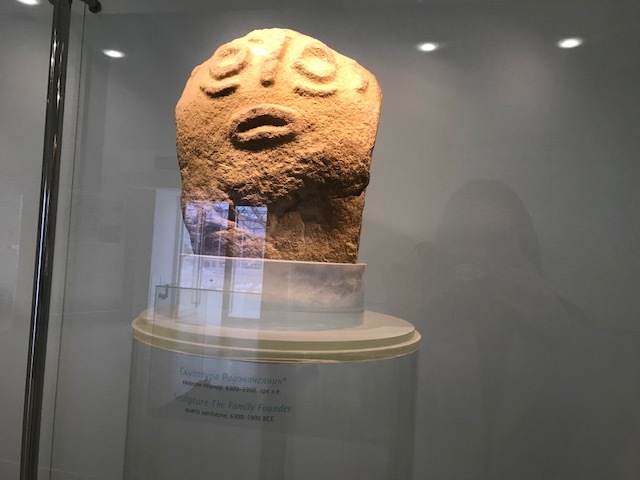 In the museum, many stone idols were displayed, they represent the oldest monumental stone sculptures found in Europe. 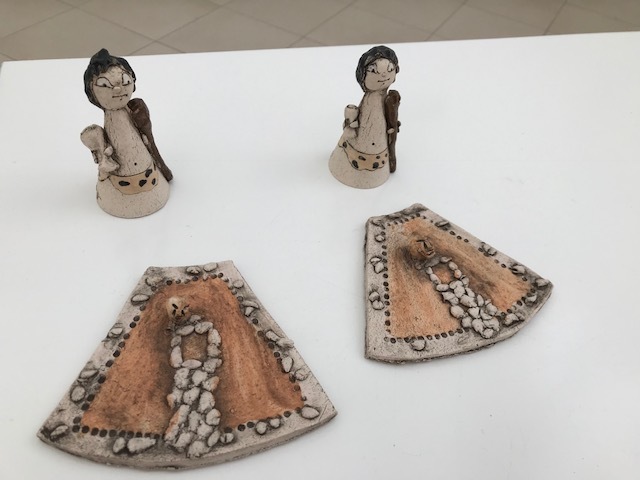 At first they only had a head with a strange expression, while in later stages these figurines had anthropomorphic shapes. 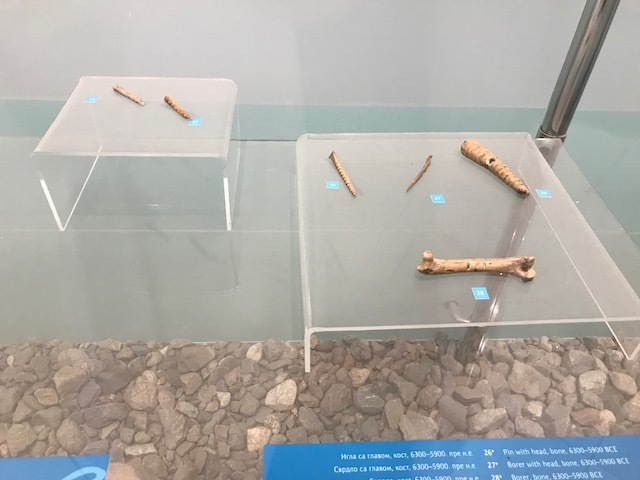 Besides these figurines numerous tools and arms made of stone, bone and antler, pottery and jewelry made of shells and pebbles were found here. These were the first communities which started working the land and tamed some animals. 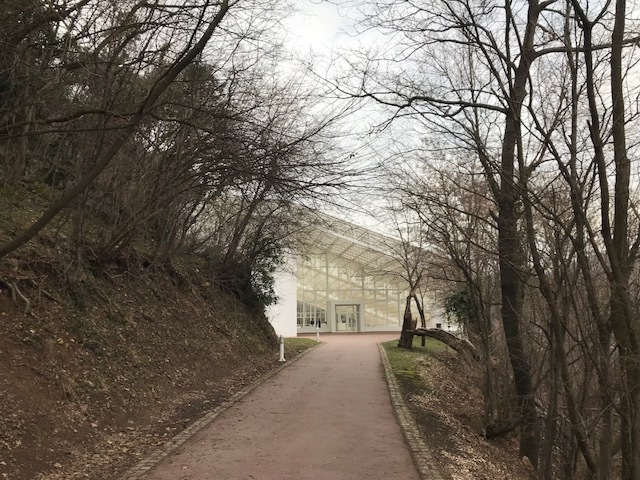 These are the mock ups the museum made to demonstrate the old times. 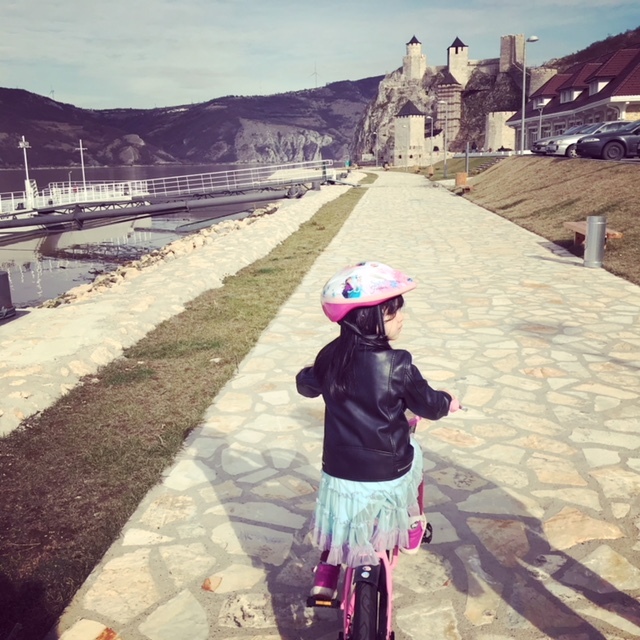 After the museum, we went to the Golubac fortress for a stroll, our little one could ride the bicycle a bit, the castle was under a renovation, therefore no luck to walk in. Wait till next time!